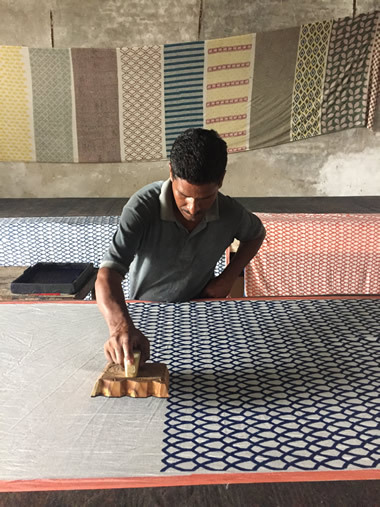 This tour provides fantastic opportunities to learn first-hand about the wonderful craft techniques we have in India. You start in Delhi before going to Agra to see the Taj Mahal. In Agra you will also spend time learning about the city’s incredible marble artisans and seeing first-hand how the intricate pietra dura work and carving is carried out today. The tour then takes you on to Jaipur, Udaipur and Jodhpur where you will meet the local villagers who produce India’s beautiful dhurries (rugs), learn about hand block printing in a private workshop, be introduced to the intricate embroidery techniques used to create India’s spectacular bridal wear and spend time with a celebrated master temple painter. You will also explore the handicraft workshops of Jodhpur before visiting the surrounding Bishnoi tribal villages. One of Victoria’s favourites, this trip provides a very special and completely unique holiday experience. The pricing reflects accommodation at mid-high end hotels. We can offer alternative hotel options to suit you. To view this itinerary in detail please contact us.